Cathy Simpson | Blog | I’m now in Birmingham Museum and Art Gallery! I’m now in Birmingham Museum and Art Gallery! 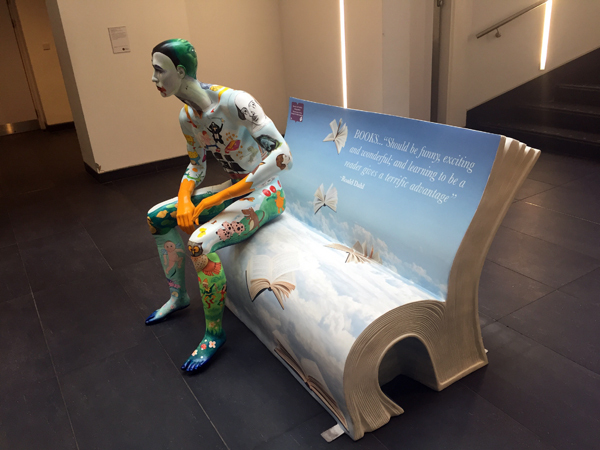 This was THE most fantastic commission as part of the Big Read… King Edwards Schools Foundation had sponsored the Book Bench featured in the photo, and Denis Ramplin, their Director of Communications & Marketing contacted me to see if I could paint a mannequin for their bench. He’d been inspired to track me down after he met our Happy Hospit-owl, produced by me on behalf of Birmingham Children’s Hospital Charity… so he knew I like a crowd! Many stories are featured on here, and rumour has it that there’ll be a competition to name him. We’ll see. He’ll always be ‘Mannakin Skywalker’ to me! 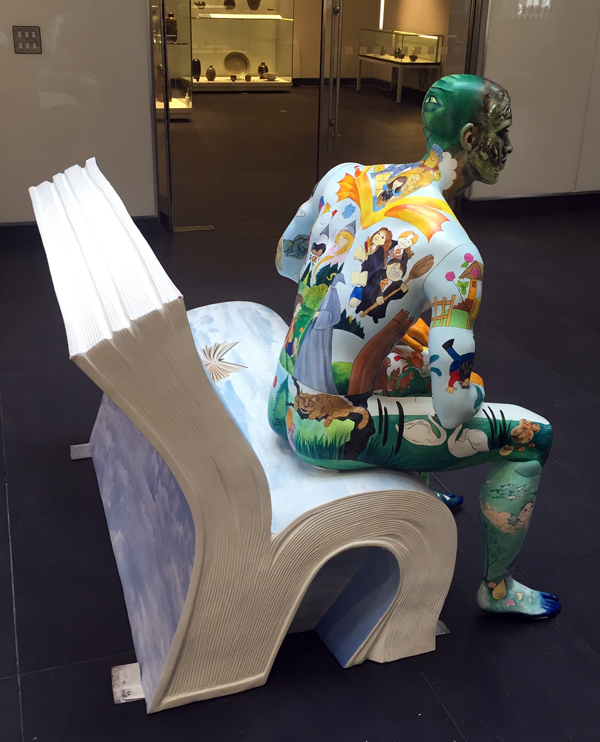 The work will be on display in Birmingham Museum & Art Gallery until 13th September 2016, when it will be moved to King Edward VI Schools Learning Hub at Birmingham Airport.